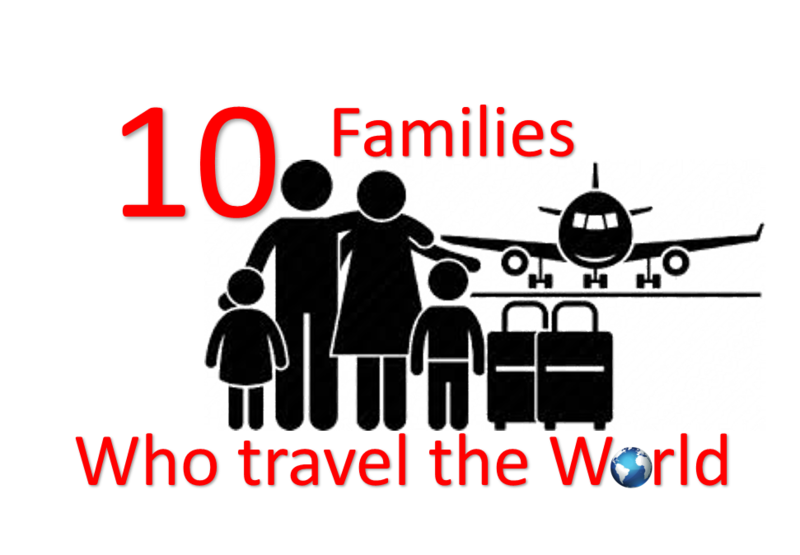 Welcome to our Family Fun page, where we feature families traveling the world, who have joined our Road To 100 Countries travel movement. Meet Anthony and Lisa’s family, they love travel so much that they named their daughter, Journey. Flying since she was only 13 weeks old, she has flown over 15,000 miles, on 9 flights domestic and abroad. From the Queen’s Palace in London to the Grand Canyon of Arizona, journey is definitely living up to her name. Anthony and Lisa’s goals are to visit all 7 continents along with the 50 states in the U.S. With 39 states and 4 continents under their belts, they are more than halfway there. The only thing that stops them from traveling full-time are their careers, but they are working on a plan to be job free in the future, so they can do more of what they love…travel. The biggest tip they have for anyone reading this, is to never let anyone tell you that you cannot travel due to having a child. If anything, they have traveled more this year than in the past because they couldn’t wait to show their daughter the world and teach her that traveling is the only thing you can buy that will make you richer. Click here to follow Anthony and Lisa’s family around the world. Meet Cory and Kameko’s family, their travel goal as a family is to be an advocate for young minority families like themselves. They want to inspire others but they also want to show value and lessons in everyday life to their daughter and when their son arrives!! They feel there is so much more out there than the country they live in. It is important for their family to experience different cultures and see how other foreigners live. They love meeting new people and making new friends while traveling. They feel experiencing and meeting different kinds of people at a young age will avoid ignorance towards other cultures growing up. Cory and Kameko believe textbooks are over rated and that the true education to one’s culture is immerse themselves into others culture when they travel. They want to break the stereotype people have that never traveled and for their kids to know the difference. Cory and Kameko, feel that traveling as a family gives them the opportunity to grow and spend quality time with each other that they wouldn’t normally get back home, in New York, because of work and school. Click here to follow Cory and Kameko’s family around the world. Click here to follow James and Monet’s family around the world. Meet Kindel and LaToya’s family, traveling the world as a family means everything to these parents. Their kids are straight A students, so they do their best to keep them focused and educated. One of their ways of keeping them focused is traveling the world with them. It’s totally different when scoping out different countries and cultures with the naked eye then reading it from a text book. Just to feel…to explore…to be in the midst of it all, gathering key ingredients from different perspectives and different walks of life makes all it worth it. Spending moments like these as a family is priceless. Hearing our children’s thoughts and views of how they felt from visiting the rural areas to the more touristy areas gives us renowned faith in our kids, knowing that every where has its own struggles and their own happiness. It’s all how you capture those very moments and live in it. Traveling as a family gives us more precious time together. Their goals are to visit 100 countries and collect a piece of every country and share it with the world in their photos. Click here to follow Kindel and LaToya’s family around the world. Click here to follow Oba and Betsy’s family around the world. Meet Paul and Karilyn’s family, they have always loved to travel, but once they had their son it became even more important to show him the world in all its beauty. They have found that through travel their son, Cian, has had a greater understanding and appreciation of people, cultures and the differences and similarities that unite us. Their travel goals as a family it to see as many of the world’s endangered animals in their natural habitat as possible, learning languages and trying lots of new foods. Paul, Karilyn and their son Cian are heading off on an animal care project called a ‘gap year’ to do volunteer work and explore as much as the world they can. Click here to follow Paul and Karilyn’s family around the world. Meet Sylvester and Karen’s family, they didn’t travel much before kids, but as soon as they had their son and looked at his beautiful face, they knew immediately that it was their duty to show him the world. Their family has traveled more after kids than before they had kids, which is just to show that travel doesn’t have to end when you are a parent. Sylvester and Karen travel with their 5-year-old son and their nieces and nephew as well. Their goal is to raise global citizens who are not only well traveled, but open and accepting of other cultures. Their blog page TheMOMTrotter.com focuses on inspiring parents to continue to travel even after having kids. Click here to follow Sylvester and Karen’s family around the world. Meet Trevor and Zaida’s family, their travel goals are to visit 2 countries each year with their family and to eventually gradually increase that amount. Prior to having kids, Trevor and Zaidad, loved to travel because they both liked adventure, new exploration, and to learn new things together. Now that they have children, they enjoy traveling with them because they can share their passion for travel and expose them to different cultures, different climates, different foods and enhance their lives through hands on experiences in addition to their academic curriculum. Click here to follow Trevor and Zaida’s family around the world. Meet Thomas and Zipporah’s family, with Olivia & Harlow (Ages 7 & 10) from New Jersey. Traveling is something that both Thomas and Zipporah always did prior to having children. When they realized that traveling did something for them, they decided that this was their pleasure point. Travel enlightens their world and shows them surroundings and things that they never knew existed. How others lived was always a thing of the past but they use that now to gain knowledge of the struggle that other cultures may have. After we they had their daughter Olivia, they decided to continue traveling and exploring the world and bringing her along as well. Olivia took her first flight & had a passport at 6 months and has been going ever since then. Harlow was the same. The children have been continuous with keeping journal entries marking every step of the way. Now that both children are more independent, they have seen how easier traveling has become. As a family we are counting down our road to 100 countries as they go. Click here to follow Thomas and Zipporah’s family around the world. Meet Quron and Danielle’s family. They started traveling with their children very early on. Both boys actually celebrated their first birthday’s abroad; in Mexico and Australia. It’s always been extremely important for them to immerse their children into other cultures and diverse environments. They want their sons Parker and Logan to grow up truly envisioning themselves as citizens of the world. Exposing them to different foods and increasing their tolerance for discomfort has been crucial to their growth and adaptability. This opportunity wasn’t afforded to Quron and Danielle as children, so they have made it an emphasis of their children’s’ childhood development. For the foreseeable future travel will continue to be a staple in their children’s education as well as satisfying their family’s thirst for adventure. Click here to follow Quron and Danielle’s family around the world. How to be featured on Road to 100 Countries? Follow & Tag @RoadTo100Countries on all things travel on Instagram. This way your travel photos will show up in our tagged photos feed to be featured in our Insta-stories and re-posted on our IG page. FYI we do not re-post/ feature scenery shots. We only feature photos with you in them on both our website and Instagram page. Use and follow the hashtag #RoadTo100Countries. This way every travel photo you use the hashtag on will show up in our worldwide travel feed. The more you tag @RoadTo100Countries and use our hashtag #RoadTo100Countries the HIGHER PROBABILITY you will be selected for our Featured Travelers Section (Couples Corner, Family Fun, or Solo Single Travelers section). Pictures with “Road to 100 Countries” merchandise will GREATLY increase your chances of being featured. Emailing or messaging us requesting to be featured; will NOT get you featured. Having other people email or message us requesting us to feature you; will NOT get you featured. Tagging photos which have NOTHING TO DO WITH TRAVEL; will NOT get you featured.